Feral Kitty is sold out! Thank you for your support. Today, I made a donation of 50% of the total sales from the edition. I upped it from 40% because it is such a great cause and you were all so wonderful in buying them up so fast. But wait there is more. 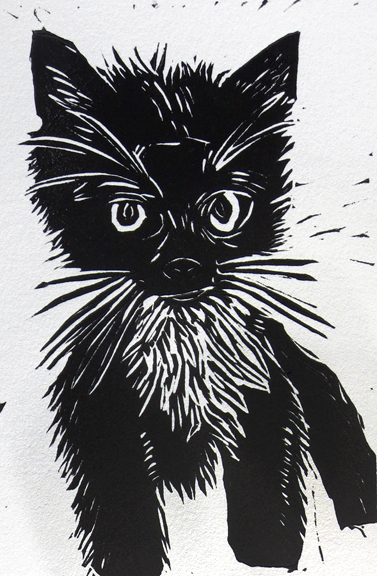 Every two weeks I will carve the portrait of a cat from the shelter who needs a home. Again 50% of the proceeds will go to the San Francisco SPCA. Feral Kitty will be well taken care of.